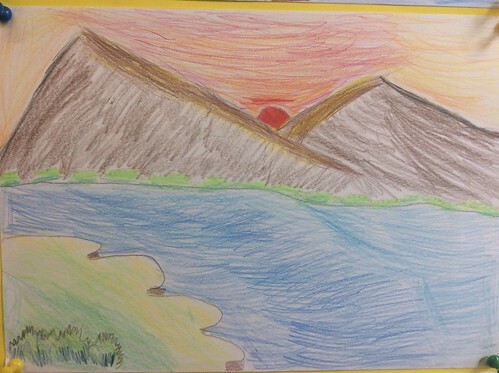 Third class were learning about mountains recently, and learned to draw a mountain landscape from a YouTube tutorial - click on the album to see the wonderful results! 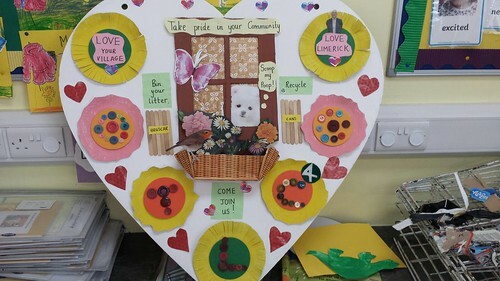 Click on picture to view more. 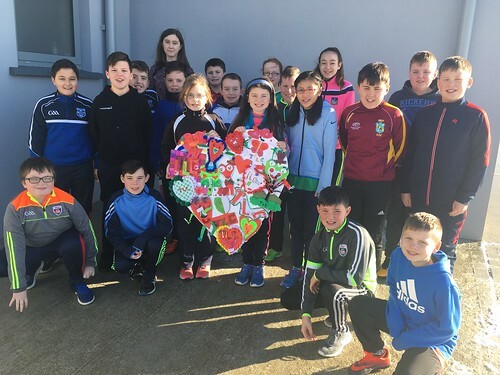 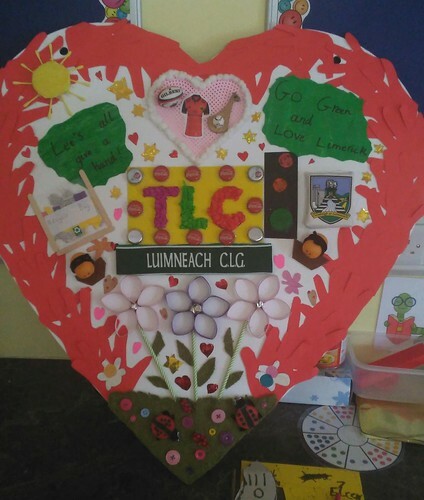 Second class showed wonderful imagination with this art activity. 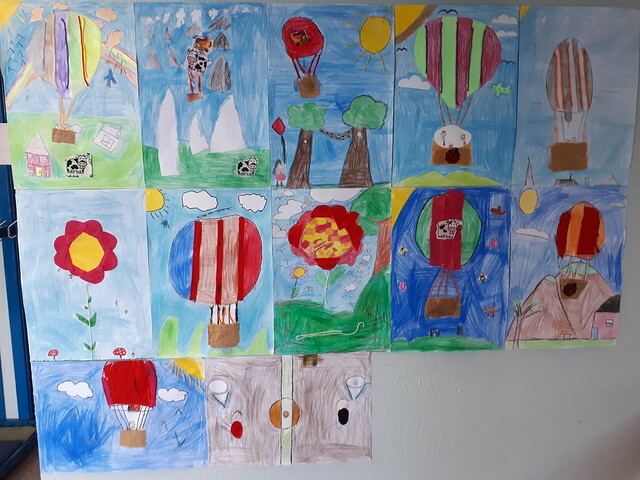 They used scraps of fabric and fibre to create pictures of hot air balloons, hammocks and flowers. 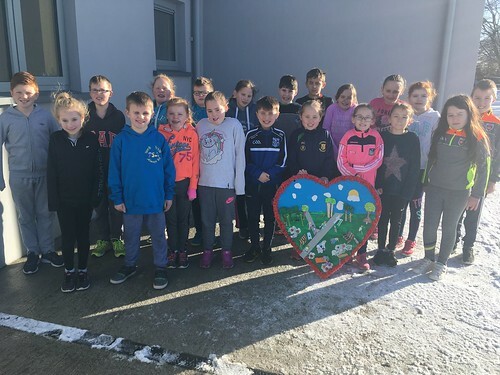 Pupils in second class have been exploring lots of facts about Africa and even learned a song about a journey to Morocco. 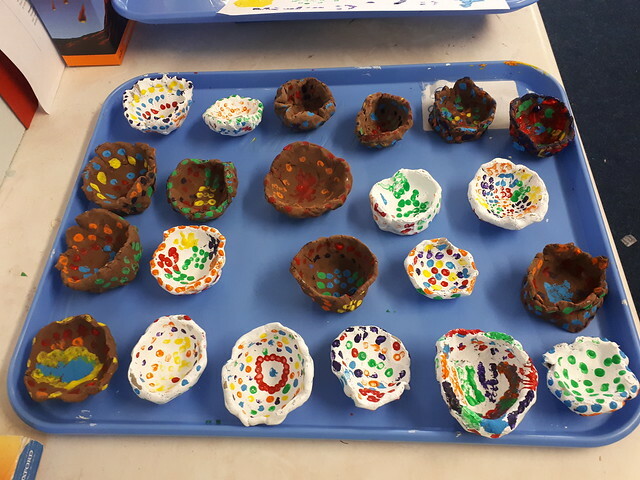 As part of their art activities they have taken some clay pots they made last month and decorated them with an African theme. 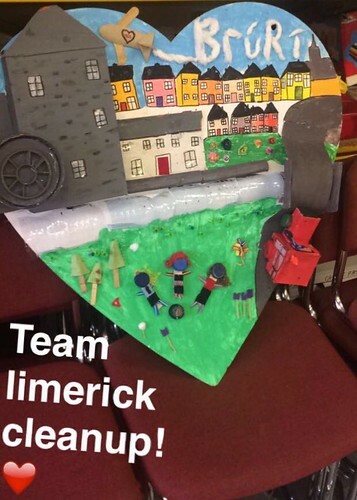 The method they used was pointillism. 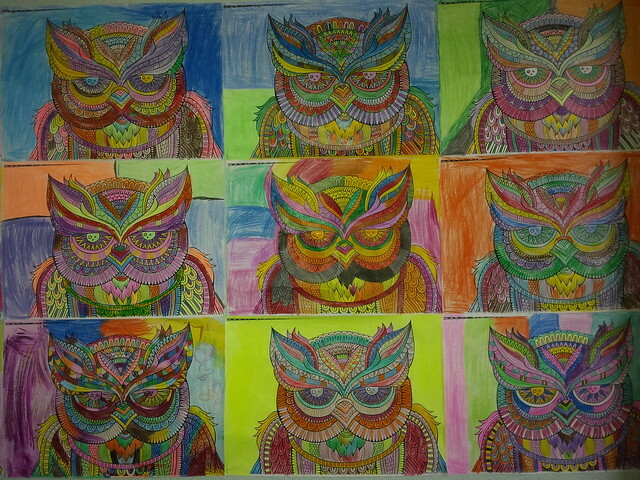 These are some samples of the very colourful mindfulness colouring completed in second class.